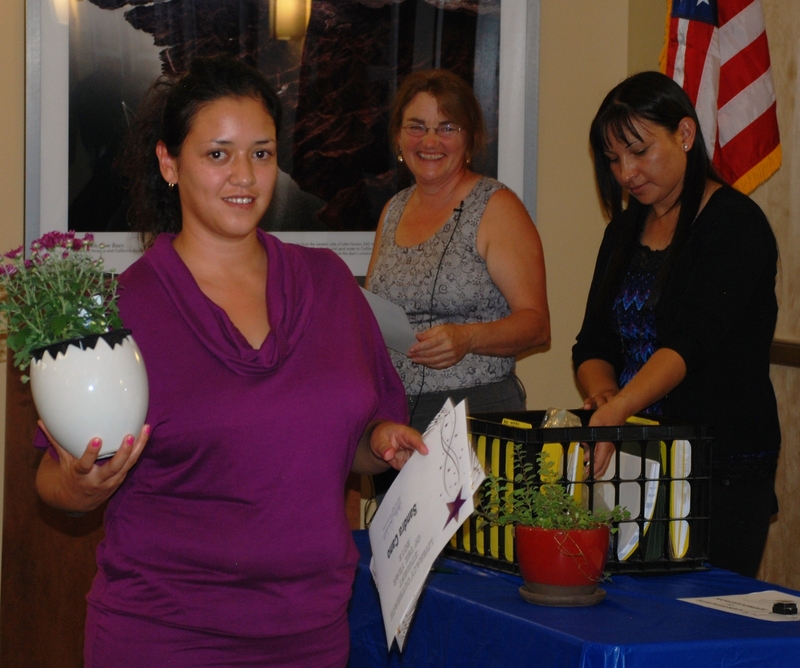 Sandra Cano is selected “Student of the Year” at Literacy Outreach’s annual potluck. More than seventy happy faces celebrated the many accomplishments of all of Literacy Outreach’s students and volunteers. A delighted Sandra Cano was selected student of the year using every opportunity to study English. She is a steady participant in Mom’s Circle at the Glenwood Library and she also meets weekly with her tutor. All students received certificates of participation. Hugh Warder was selected “Tutor of the Year” for his willingness to help whenever needed. Hugh has tutored multiple students, assisted with student assessments and has served on our board of directors. 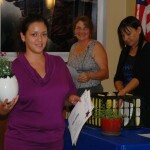 All volunteers received certificates of appreciation and pins for every 100 hours of service.